Partner Organizations support VoteRiders' mission and actively collaborate with us to accomplish it. Educating and advising voters and other stakeholders about voter ID laws. 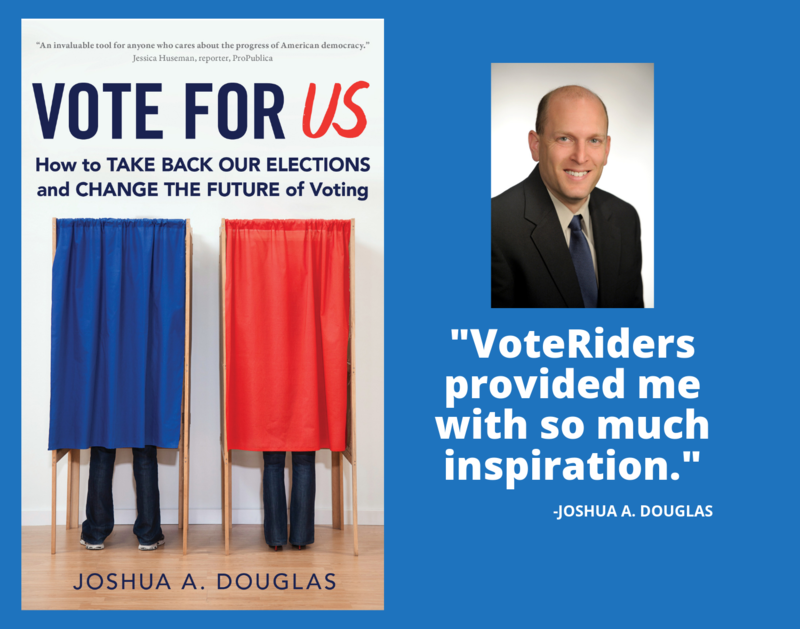 Providing voter ID experts to answer questions and provide assistance in securing ID to vote via our national toll-free Voter ID Helpline (844-338-8743), our website, and info@voteriders.org. For low-income voters: reimbursing the cost of any documents required to obtain a voter ID such as a certified copy of the voter’s birth certificate, name-change court order, etc., replacement driver’s license if necessary; and helping to arrange transportation to the local government office to secure their voter ID or any required documents. Providing free voter ID education materials online, including our Voter ID Info Cards and Voter ID Guides e.g. for voter registration and GOTV drives. Trainings for organizations and volunteers on how to obtain voter ID and required supporting documents. Working with pro bono lawyers (e.g., Association of Pro Bono Counsel) and government officials’ staff to help voters secure necessary documents. Training canvassers for door-to-door and phone-bank voter registration and Get Out the Vote (GOTV) drives. Tabling at community events and presentations to organizations. Facilitating local Voter ID Coalitions, including providing and supporting a locally-based VoteRiders Coordinator to organize outreach and activities. Organizing Voter ID Coalitions, Voter ID Clinics and other community events, e.g., Voter ID Month, Week, etc. If you would like more details about becoming a Partner Organization, please contact us. The Lawyers’ Committee for Civil Rights Under Law is the lead partner of the non-partisan Election Protection Coalition, of which VoteRiders is also a partner. It was formed to ensure that all voters have an equal opportunity to participate in the political process, and provides comprehensive voter information and advice on how citizens can make sure their vote is counted. 844-418-1682 (#YallaVote), Arabic and English, led by the Arab American Institute. The Association of Pro Bono Counsel is a mission-driven membership organization of over 180 attorneys and practice group managers who run pro bono practices in over 100 of the world’s largest law firms. BlackPAC supports a policy agenda that defends Black voters' rights, promotes dignity, and fosters economic justice in our communities and across the nation. Black Voters Matter: Effective voting allows a community to determine its own destiny. Brennan Center for Justice at NYU School of Law is a nonpartisan law and policy institute that seeks to improve our systems of democracy and justice. The Center works to hold our political institutions and laws accountable to the twin American ideals of democracy and equal justice for all. The Center for Popular Democracy works to create equity, opportunity and a dynamic democracy. Campaign Legal Center works to improve our democracy and protect the fundamental right of all Americans to participate in the political process. CLC is home to the premier election law experts in the nation and aims to ensure that every American has the right to fully participate in shaping the laws and policies that directly impact their lives. Campus Election Engagement Project helps America's colleges and universities get as many of their 20 million students as possible to register, volunteer in campaigns, educate themselves, and turn out at the polls. The Center for Common Ground works to empower voters to cooperate with fellow community members to create the change they desire in their lives and neighborhoods. Common Cause is a nonpartisan grassroots organization dedicated to upholding the core values of American democracy. They work to create open, honest, and accountable government that serves the public interest; promote equal rights, opportunity, and representation for all; and empower all people to make their voices heard in the political process. Crooked Media is an American political media company to whose VoteSaveAmerica initiative we have contributed state-by state voter ID information. Democracy Labs is a hub for ongoing technology and creative innovation that serves progressive campaigns and organizations at the national, state, and local levels. eMgage helps to educate and mobilize the Muslim American community to become a force for positive change and to build the next generation of civic leaders. Fair Elections Center is a national, nonpartisan voting rights and election reform organization which works to remove barriers to registration and voting for traditionally underrepresented constituencies. Feminist Majority Foundation (FMF) is dedicated to women's equality, reproductive health, and non-violence. Higher Heights is building the political power and leadership of Black women from the voting booth to elected office. Hip Hop Caucus organizes 14–40 year-olds who identify with Hip Hop culture and share values of justice, equality, and opportunity. They provide leadership training and real-world civic leadership opportunities for cultural influencers at the grassroots level. Inspire U.S. supports high schools in planning and conducting student peer-to-peer voter registration activities. Mi Familia Vota is a national civic engagement organization that unites Latino, immigrant, and allied communities to promote social and economic justice through citizenship workshops, voter registration, and voter participation. motivote is a digital platform that helps young people bridge the gap between intending to vote and actually doing it. The Movement Cooperative provides data and technology resources that match the needs of progressive organizations. National Disability Rights Network provides protection and advocacy for individuals with disabilities. National Voter Registration Day wants to make sure everyone has the opportunity to vote. On the 4th Tuesday in September of every year, volunteers and organizations from all over the country will “hit the streets” in a single day of coordinated ﬁeld, technology and media efforts. National Voter Registration Day creates broad awareness of voter registration opportunities and reaches tens of thousands of voters who may not register otherwise. People Demanding Action is helping to evolve a grassroots movement to rebuild American democracy, freedom, peace and justice. People For the American Way Foundation was founded in 1981 to promote the values and ideals that sustain a free and diverse society, to safeguard the constitutional principles that undergird American democracy, and to strengthen the public institutions that are charged with making those values and ideals real in the lives of all Americans. Our vision is a vibrantly diverse democratic society in which everyone is treated equally under the law, given the freedom and opportunity to pursue their dreams, and encouraged to participate in our nation’s civic and political life. Rock the Vote is the largest nonpartisan, non-profit organization in the United States driving young people to the polls. Fusing pop culture, politics, and technology, Rock the Vote works to mobilize the millennial voting bloc and the youth vote, protect voting rights, and advocate for an electoral process and voting system that works for the 21st century electorate. Voter Participation Center helps Americans register to vote and mobilizes the rising American electorate. The ACLU of Arkansas is a nonprofit, nonpartisan organization which uses legal, legislative and public education methods to protect and promote a broad range of constitutional issues. Abrazo Boricua is a coalition of Orlando-based advocacy, civil rights, faith, and civic engagement organizations that have come together to assist displaced Puerto Rican families. Action Together Network fights for human rights through action. Alianza for Progress seeks to unite the Puerto Rican and Hispanic population in the state of Florida and develop leaders from within the community that will support progressive policies. Bring It Home Florida is a grassroots nonprofit organization that empowers everyday people to fight for Florida’s future. Campus Peace Action UCF (University of Central FL) hopes to build a community ready to fight for justice as political activists, environmentalists, and community volunteers. Centro de Ayuda Hispana is a HUD Approved Housing Counseling Agency. Common Cause Florida is a nonpartisan grassroots organization dedicated to upholding the core values of American democracy. Community Hope Center restores dignity and self-sufficiency to low-income, poverty level families and individuals living in and around Osceola County, Florida. Disability Rights Florida is the statewide designated protection and advocacy system for individuals with disabilities in the State of Florida. Equality Florida, consisting of Equality Florida Institute and Equality Florida Action, is the largest civil rights organization dedicated to securing full equality for Florida’s LGBTQ community. Faith in Public Life is a national network of nearly 50,000 clergy and faith leaders united in the prophetic pursuit of justice and the common good. Florida 501c3 Civic Engagement Table expands access to the ballot through voter protection and education. Florida Restoration of Rights Coalition is a grassroots, membership organization run by returning citizens who are dedicated to ending disenfranchisement and discrimination. The Florida Student Power Network is comprised of youth and student organizers who create strategic approaches that challenge oppression and secure justice sustainably. His Healing Hand Ministries is a purpose driven ministry working with those behind bars, those returning from a time away, those on probation or parole, or those who have a criminal past. Hispanic Federation works in the areas of education, health, immigration, civic engagement, economic empowerment, and the environment. LatinoJustice uses litigation and advocacy to protect Latinx voting rights. League of Women Voters of Florida is involved in a broad range of Voter Services, including voter education. Mi Familia Vota Florida promotes civic engagement in the Latino community. Misión Boricua seeks to promote civic engagement within the Puerto Rican Diaspora of Central Florida. New Florida Majority works to increase the voting and political power of marginalized and excluded constituencies toward an inclusive, equitable, and just Florida. The Peace and Justice Institute at Valencia College promotes peace and justice for all. The Picnic Project of Sanford helps those in need. Progress Florida promotes progressive values including increased civic participation and voter education. QLatinx is a grassroots racial, social, and gender justice organization dedicated to the advancement and empowerment of Central Florida's LGBTQ+ Latinx community. The Rollins College Democracy Project is a nonpartisan student-led initiative dedicated to the idea that civic engagement is critical to our future. Student PIRGs (Public Interest Research Groups) give students the skills and opportunity to practice effective citizenship. UnidosUS serves Latinos in the areas of civic engagement, civil rights and immigration, education, workforce and the economy, health, and housing. The University of Central Florida is the largest college by enrollment in Florida, and is the second largest overall among U.S. colleges and universities. Vamos4PR is a network of stateside labor, community, cultural, and human rights groups committed to fighting for a better future for Puerto Rico and empowering the Puerto Rican diaspora. Families First is Georgia's largest family and children's services organization in metro Atlanta, working to ensure success of underserved youth by age 25. Georgia WAND is an independent grassroots, woman-led organization that seeks to direct women’s voices into a powerful movement for social change. RuralVotes works to make sure rural America and urban America stay connected. AMOS (A Mid-Iowa Organizing Strategy) seeks to channel individual action into a responsible and powerfully-organized force for the common good. League of Women Voters of Kansas has encouraged the informed and active participation of citizens in government for nearly 100 years. Hennepin County Libraries include 41 libraries, website and outreach services serving 1.2 million Minnesota residents over 611 square miles. Rosedale Freedom Project supports the Mississippi Delta’s young leaders in the development of critical consciousness and the practice of justice. 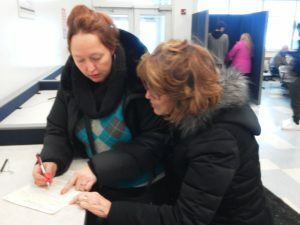 Missouri Voter Protection Coalition, consisting of three dozen organizations that include civil rights advocates, faith leaders, community groups, the labor movement and legal experts, focuses on the state's voter ID law. Beyond Housing is a comprehensive community development organization based in the Normandy Schools Collaborative in north St. Louis County. From purchasing a home to health, education, jobs, and economic development, Beyond Housing offers holistic resources and support to help communities become better places to live. America Votes - leads a coalition of civic engagement organizations. Blueprint North Carolina is a network of 41 non-profit, non-partisan organizations working together across issues and racial lines to advance equity and social justice in North Carolina. North Carolina State Board of Elections: the state agency charged with overall responsibility for administration of the elections process and campaign finance disclosure in North Carolina. The office of the State Board of Elections works in conjunction with County Board of Elections offices to ensure that elections are conducted lawfully and fairly. RISE Together North Carolina is a grassroots, nonpartisan organization advancing civic engagement, education, and community. Texas Civil Rights Project works to eliminate systemic barriers which exclude millions of people from the ballot box. Baptist General Convention of Virginia supports education and missions in Virginia and beyond. Campus Election Engagement Project-Virginia works with the administrators, faculty and students of Virginia’s colleges and universities to ensure students are electorally educated and confident that their vote will count. ID Ready Set Vote reaches VA voters who need photo ID and want to vote. NAACP Area 4 plus Charlottesville, Danville, Halifax, Hanover, Middlesex, Pittsylvania, Prince William, and South Boston branches ensure the political, educational, social, and economic equality of rights of all persons and aim to eliminate race-based discrimination. The Reasonable Voice encourages education and embraces the lessons of civic duty, civility and participating citizenship. Resource, Information, Help for the Disadvantaged and Disenfranchised (RIDH) is an award-winning all-volunteer statewide organization that educates and empowers Virginia families and communities to reduce the level of societal disenfranchisement of people with a criminal record and bring about necessary reforms to the criminal justice system. Richmond Crusade for Voters is dedicated to maintaining a democratic form of government and laying a firm foundation upon which the freedom of all people can be protected and under which a government of the people shall remain. Unitarian Universalists for Social Justice in the National Capital Region seeks to change the world through acts of love and justice. VCU ASPIRE is a living-learning program at Virginia Commonwealth University that promotes community engagement through academic coursework and co-curricular experiences. Women-Matter is dedicated to the ratification of the Equal Rights Amendment and The International Women's Treaty (CEDAW).